Leonid Smotrov #27, age 16, pictured far right huddled with his teammates on Moscow Red Legion. 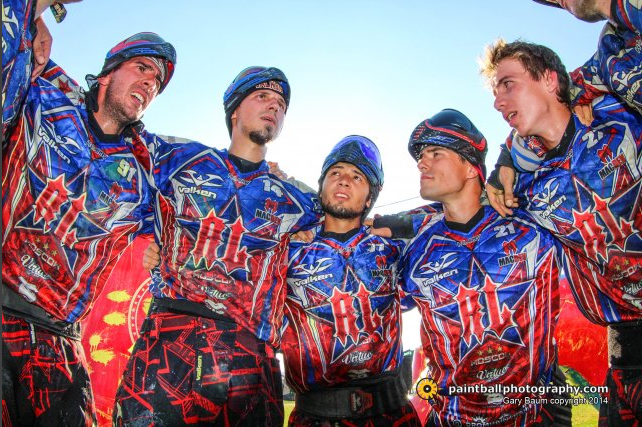 One of the best aspects of paintball is that players come from all walks of life, age, and places. These misfit tribes and the diverse personalities therein come together and not just play, but excel. Paintball has those intangibles needed far outside your height, your vertical leap, or your 40 yard dash time. A wide-range between the youthful and the birthday-rich stand at the box at the highest level, whether Leonid Smotrov (16) of Legion, or Brandon Cornell (18) Ironmen, or Dmitry Berdnikov (50) Red Storm, or Shane Pestana (43) Ironmen. But is there an age that players “peak”? Is there a goldilocks zone between youth/athleticism and maturity/experience? Let’s first take a look at the Pro rosters to see if any consistent data shakes out. Below we’ve listed each team in order by their current PSP ranking, the average age of their rostered players from World Cup 2014, and the youngest and oldest player from each roster. Individual outliers exceeding the age of their teammates by more than 10 years or only played Cup were not included but are posted for reference. Dmitry Berdnikov, age 50, pictured 4th from left among his Red Storm teammates at the PSP Dallas Open 2014. 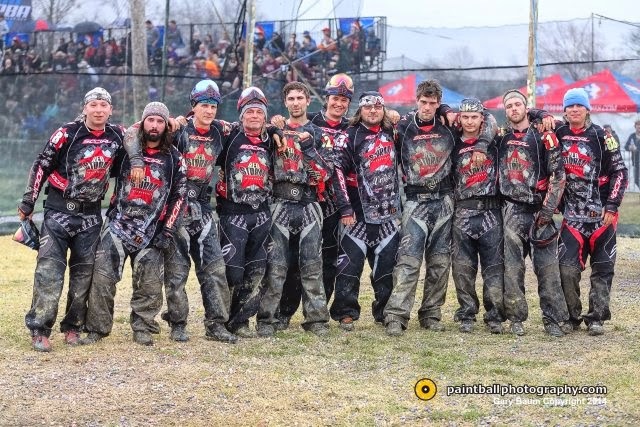 So the average age of a professional paintball player is 26 going on 27 years old. The top teams bare a consistent resemblance: Impact 26.55, Damage 26.1, Ironmen 26.58. The bottom two Professional teams, XSV 30 and Red Storm 34.4, happen to be the oldest. Does this mean you have to be 26 years old to be a quality professional player? Of course not. But the average age may speak to the attributes, experience, or even maturity level needed to compete in the division. The age could also simply be a byproduct of external factors outside of the game’s on-field requirements. Before we start drawing conclusions, we’ll follow up with the Divisional ranks to see how their age composition differs, if at all, to Professional. Then we’ll compare paintball to other sports, their ages of “peak performance,” and what that may inform us about the sport of paintball. Special Thanks to Gary Baum and PaintballPhotography.com for photos.